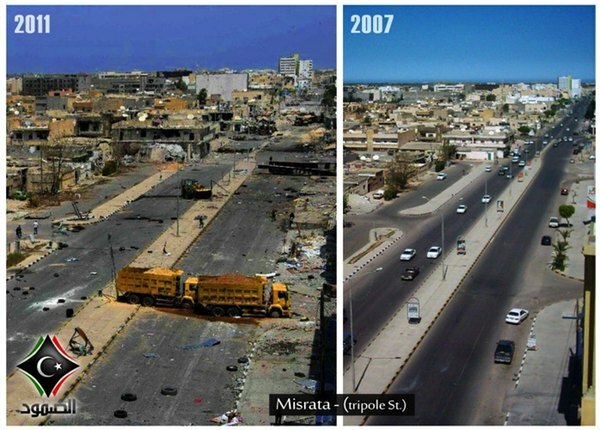 Once the most prosperous nation in North Africa, if not ALL of Africa, Libya is now a bombed out refuge for Al Qaeda terrorists and other Islamic extremists. All courtesy of the U.N., the United States, and NATO. Why? Well the current excuse for it is that Colonel Gaddafi had the nerve to stand up to AL Qaeda terrorists inside his own nation. Of course, they were called 'protesters' by western media. In the end, NATO forces backed the Al Qaeda overthrow of Gaddafi, leaving Libya a depleted uranium dump-site and a serious power vacuum.